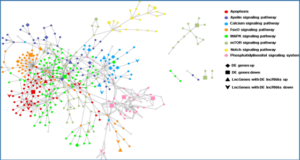 Researchers at the Kyoto Prefectural University of Medicine, Japan examined the levels of long non-coding RNAs (lncRNAs) in the plasma of patients with gastric cancer to assess their clinical significance for diseases diagnosing and monitoring. 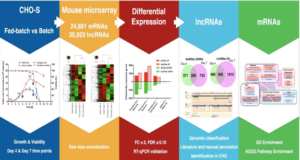 They investigated the stability of plasma lncRNAs, and then confirmed the appropriateness of the lncRNA assay with a pre-amplification method. 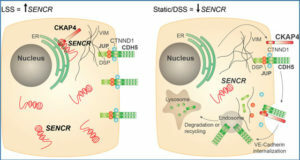 The levels of plasma lncRNAs, H19, HOX antisense intergenic RNA (HOTAIR), and metastasis associated lung adenocarcinoma transcript-1 (MALAT1), were then analyzed in patients with gastric cancer (GC) and healthy controls. 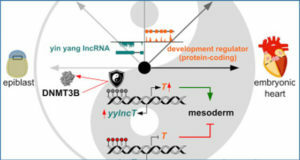 Plasma lncRNAs exhibited minimal gradual instability only under several severe conditions. 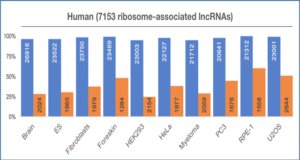 Analysis showed that samples with pre-amplification had a higher level of linearity in the reverse transcription polymerase chain reaction (RT-PCR) assay than those without pre-amplification. Plasma H19 levels were significantly higher in patients than in healthy controls. Plasma H19 levels were significantly reduced in postoperative samples. 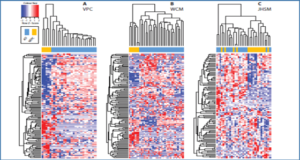 Circulating lncRNAs can be detectable in plasma, and the detection of circulating lncRNAs may provide new complementary tumor markers for gastric cancer.